One of the most critical investments that you can make for your business is choosing the right ERP system. As is often the case, most growing businesses are using ERP systems that were purchased some time ago, and eventually it becomes apparent that the ERP is simply no longer meeting the needs of the company. It’s true that QuickBooks and other accounting systems can handle business needs for a considerable time, but as a business grows its needs become more complex. And, inevitably, most businesses find that their EDI systems have become far more complex than their accounting systems. If your company has found that it is time to reevaluate its ERP system, below are some points you need to consider as you research and evaluate your options. First, we’ll start with a critical question: Can the ERP system integrate with your EDI processes? There’s a difference between ‘able to integrate’ and ‘natively integrated’ and that difference should be the very first item on your checklist. 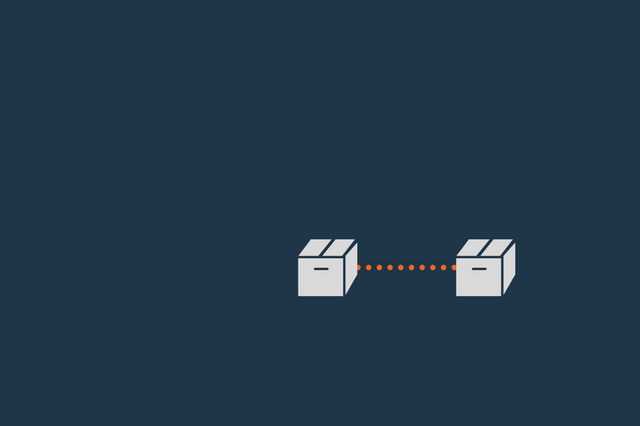 In theory, every ERP package can connect with any EDI package, but actually connecting the functions demands a whole different level of sophistication. Software vendors point to their ability to export data from their software so that it can be imported to another system. They may even have automated routines that can perform the export/import functions on a timed basis. The problem with these types of transfers is that the format of the intermediate files is prone to error and corruption, and any change in the file will either cause the transfer to fail or, even worse, import incorrectly causing corruption of the information in your application. In addition, every time a vendor changes the format of their internal data, the data transfer process must be revised and tested to make certain it works with the new formats. Direct integration between your ERP and EDI systems means that the two systems connect with each other at the level of the data. This is usually accomplished using built-in programs that handle the data formatting, error checking, and data transformation so that the data is transferred from one system to the other in exactly the right format. And once it has been put into the destination system, it is checked for accuracy and any errors are resolved. Don’t assume that you know what your current ERP system lacks. Take a hard look at every step of your operations. Talk with the staff that handles each part of the process and ask what they have problems with, how they would improve operations, and what parts of their work are handled outside the current ERP in such things as spreadsheets or databases. Find out what reports are being used regularly and what reporting isn’t being done by the ERP. Typically these missing reports are created by exporting data from the ERP and generating the reports using spreadsheets. Identify and list each of these functions and get a handle on how much time is being used to create them. Look for areas that are simply not addressed because the current system is not specific to your industry. Laws change and reporting requirements may be different for your business than they were initially. As you build your list of possible ERP candidates, find out what other companies in your industry use and if they are satisfied. In addition to the list of features and functions, you’ll need a more basic set of criteria that may provide some yes/no options. Beyond the initial or monthly costs, be sure to look at additional costs you will encounter. Additionally, consider the savings in manpower and in error reduction that can be gained by seamlessly integrating your systems. Understand how the systems are hosted and how they connect your existing and replacement systems. Find out if you will need new computers and servers, additional internet connectivity capacity, or other services. Drill into the level of service and support that is available. This includes not just the system training, but also the maintenance of the data connection, i.e., mapping and updates that are required by trading partners. If your business has specific requirements with regard to data, processes, connectivity, or product mix, an ERP vendor who already understands your needs will go a long way to easing your implementation. Become familiar with the system’s look and feel. Find out if your staff feels comfortable with the interface and can maneuver within it easily. Standardize as much of your proposal request as possible so that you can compare the proposals you get. After reviewing and selecting your best fit, find a common working arrangement that makes you and the vendor happy. It’s been said that the most successful agreements are those in which neither party is completely satisfied because each has compromised some elements. Of course, once you have completed these steps, the real work will begin. Remember: even though you have already dedicated a significant amount of effort, expect to dedicate even more time and energy as the implementation progresses. But, rest assured that once your organization has completed the ERP implementation process, the benefits that you will realize will be substantial.